New Zealand, like plenty of others, has been sucked into the greatest economic and environmental fraud of all time, with turbines speared all over its peaks and ranges. 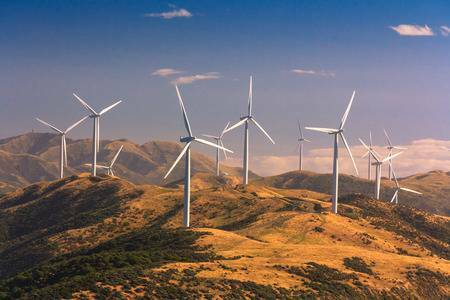 A Kiwi might reasonably ask, just how much bang they’re getting in return for the $billion squandered on subsidies to wind power in New Zealand? The answer is: not much. As the aptly named Anthony Watts details below. 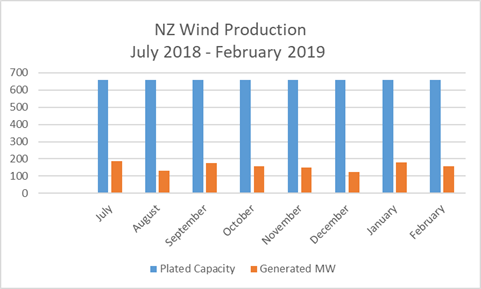 About this time last year, I wrote a light-hearted review of New Zealand’s love affair with Wind Generation. Since then I’ve become interested in seeing just how effective these things really are. Where I live adjacent to a string of Turbines, we get some pretty impressive winds – 150Kph is not that unusual. But we also get days of complete calm – usually at times when electricity demand is at its highest. Nonetheless, our green-biased Government elected just over a year ago are still pushing so-called renewables as the way of the future. Interestingly New Zealand already produces more than 80% of its energy from Renewables, with Geothermal and Hydro way ahead of Wind. Ironically, the green movement vehemently oppose any new hydro projects, and insist on visually polluting the beautiful GodZone countryside with these wind turbines. Eventually I decided to try and discover exactly just how successful and efficient these wind turbine things really are. But finding the data seems like hard work. I’ve been unable to locate data on individual windfarms (unless someone can help me out here), but I have located data covering each of the North and South Islands. Since July last year, I have been collecting the data via a computer script that downloads data at 5 minute intervals and stores it in a MySQL database. I needed to wait a reasonable interval before analysing just to make sure I had a representative sample. I’ve just done my first analysis, and the results are as predicted – shocking. The above graph shows theoretical “Plated” capacity versus actual average production by month. Clearly in 6 months, there has been no capacity added to the National Grid, and last July had a high of just 28.29% productivity yet December could only yield 18.93%. These results are pretty damning and expose the deceit we are exposed to every time a new proposal is put forward. Next time there’s a public meeting regarding how wonderful these visual pollutants are, at least I can now present data to refute many of the absurd claims. They’d be hard pressed to refute this data since it comes from the Government’s State-Owned Enterprise “Transpower” who manage the National Grid. Seriously, what!?! And this comes as some kind of surprise! Really the wrong units to be talking about what was produced, but never the less a series of instantaneous power readings over a long period still get you back to the same figure of give or take 30% of the promoted/sound bite/will power X thousand homes fantasy capacity the politicians and industry scammers will blurt out. The results of your analysis come as no surprise. Even in the windy Foothills of the Canadian Rockies the stats are about the same, ~ 33% efficiency. 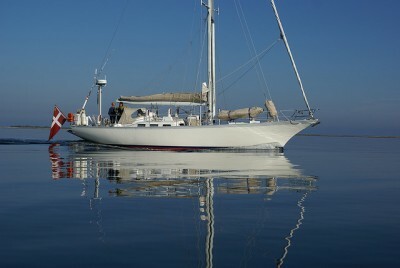 And in this local the wind turbines are shut down for two reasons; not enough wind or too much wind. Plus, when running they raise havoc with local bird populations, particularly the raptors! Yup, ‘green’ policy at its worst!! The photograph above of: “Wellington’s whirling wonders: lazy as bro!” is most intriguing. It may be due to where taken, but it almost appears that turbines are arranged so that some are behind others. Doing a few web searches did not add much. Possibly for the prevailing winds where they are located, none shadow any others. An earlier search informed that in 1919 Albert Betz determined that no turbine can capture more than 16/27 (59.3%) of the kinetic energy in wind. And that the practical utility-scale wind turbines achieve at peak 75% to 80% of the Betz limit, thus about 45-50% of available energy, so decreasing the energy down wind. Two articles in WUWT last year reported on global slowing winds and that modelling failed to show that wind farms were a significant cause of the decline of wind power. It would be interesting if some one with the expertise to do some calculations as to the possibility that wind farms removed significant amounts of energy from the winds?